A seasoned veteran of over 20 years in New River Valley real estate, and a resident for over 30 years, Greg brings a wealth of experience to the table. Greg possesses tremendous negotiating skills, and maintains long standing working relationships with other local realtors, lenders and attorneys. He recognizes that, underlying considerable emotional elements, the purchase or sale of a home is a significant business transaction that must be continually nurtured and monitored up until the time of closing. Greg's greatest joy in this business is working personally with his clients, many of whom are or become close friends, in finding a perfect home or helping make the selling of their home a smooth and painless process. 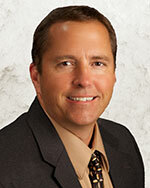 Greg brings to the NRV Team and Coldwell Banker Townside a deep commitment to the service of both Sellers and Buyers.